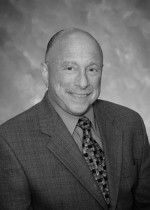 Herbert M. Weinman, MD, MBA, is a family physician with over 40 years of practice and administrative experience. Dr. Weinman was formerly Medicare medical director and vice president of provider services with Blue Cross of Northeastern Pennsylvania. He was an NCQA surveyor, and also served as a medical director of an HMO and principal of a practice management company. In additional to teaching in residency programs, Dr. Weinman was an instructor in the masters program in healthcare at Marywood University in Scranton, Pennsylvania. He received his medical degree from Upstate Medical University in Syracuse, New York, and graduated from Marist College with his MBA in 1993. Dr. Weinman is board certified in Family Practice and in Quality Assurance and Utilization Review. He is also a certified healthcare compliance officer.